1)select equipment model 2)design and manufacture products according to clients' special request 3)train technical personnel for clients. 2.services during the sale 1)Recheck and accept products ahead of delivery 2)Help clients to draft solving plans 3.after-sale services 1)provide considerate services to minimize client's worries. 3. we have our own technical department & could produce various new models as per Customers special requirement. 8.Be faithful, responsible, honest and sincere to our client. Be faithful, responsible, honest and sincere to our client. High quality, low price,fast delivery and good service are our aims. 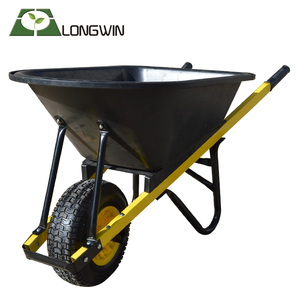 Industrial heavy duty wheelbarrow WB6418 price Civil construction tools wheel barrow Construction Wheelbarrow Technical Parameters: Model Load Water Capacity Sand Capacity Wheel L mm H C A B h WB6401 130Kg 75L 6 CBF 14"x4" 1490 495 545 970 551 256 WB5602 100Kg 78L 5 CBF 16" x4.00-8 1490 585 505 910 630 298 WB2501 120Kg 50L 5CBF 13"x3" 1310 550 555 775 495 235 WB5009 150Kg 75L 5CBF 16" x4.00-8 1495 630 555 860 600 270 Packaging&Shipping: 1.In bulk,steel pallet or carton 2.According to customers' requirement Our Service: &raquo; Try to make an inquiry then you will get response within 48 hours, &raquo; with the support from our experienced design and technique team, &raquo; we sales team always get you best solution with our great enthusiasm About Us: Qingdao Jinze Metal Product CO Ltd was built in 2008, we mainly produce wheel barrow, hand trolley, tool cart, as well as some kinds of wheels and castors. During more than 7 years evelopment we have gain good reputation in the oversea and local market, we will keep on the good service to all customer, warmly welcome all client from all over the world. Sample Fee : Paid by customer, but can be refund when order placed. 3.What advantages do you have9 We have15 years trust of our customers. 7.What is your average production delivery time9 2-3 weeks against formal order and deposit. 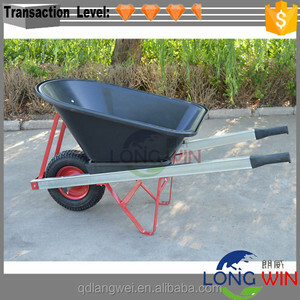 China powered heavy duty wheelbarrows for sale 1. 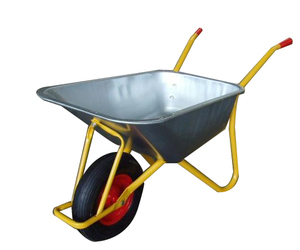 Load: 120KG 2.Steel plate Electric Galvanized Wheelbarrow; 3. wheelbarrow Tray Thickness: 0.5mm; 4. 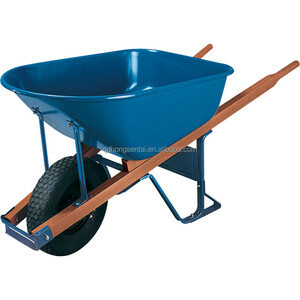 Wheelbarrow Sand Capacity: 5cbf; 5. 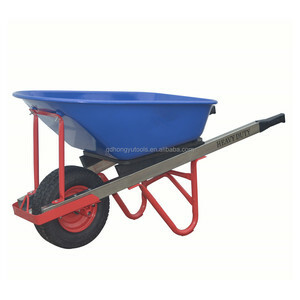 Wheelbarrow Air Wheel: 350-6; 6. Wheelbarrow Body size: 1290*545*560*825*620*210mm Company information Taishenglan also named Jianyou is one of the leading manufacture for metal building material and scaffolding accessories in Sichuan province, our main products including shuttering clamps ,formwork tie rod ,scaffolding base jack and couplers take 80% of local market share. Found in year 2009, with more than 6 years growing ,we have established very strong team ,especially our International business department members are all with more than 5 years experience in international business which have good knowledge knowing how and can provide professional assistance to all our customers. contact us Alisa (Foreign Trade Manager) &mdash;&mdash;&mdash;&mdash;&mdash;&mdash;&mdash;&mdash;&mdash;&mdash;&mdash; Sichuan Taishenglan Technology Co. Packing: Packed in Bulk,Polybag,Carton ,Pallet. Delivery Port: Qingdao Port,China 5). +Professional production and export teams will serve you a perfect deal. Qingdao Ridashaw Machinery Co., Ltd.
We have professional designer to help your brand promotion. We will be responsible for any quality problem. 7.What&rsquo;s benefit will you bring9 Your client satisfied on the quality. 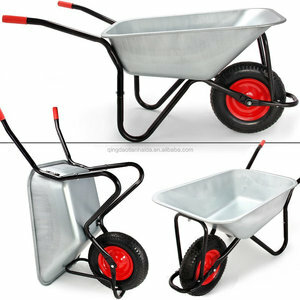 Alibaba.com offers 4,497 heavy duty wheelbarrow products. About 64% of these are wheelbarrows, 11% are hand carts & trolleys, and 1% are loaders. 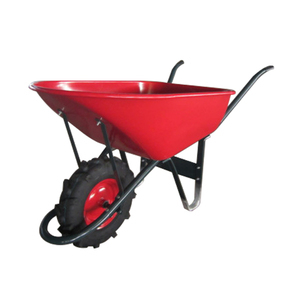 A wide variety of heavy duty wheelbarrow options are available to you, such as pneumatic wheel, solid wheel. You can also choose from metal, plastic. As well as from free samples, paid samples. 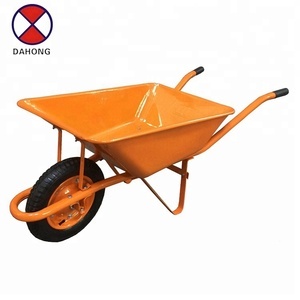 There are 4,410 heavy duty wheelbarrow suppliers, mainly located in Asia. 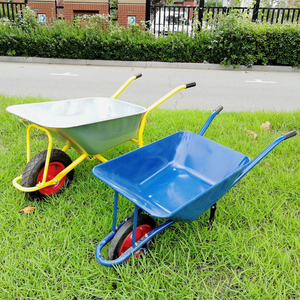 The top supplying countries are China (Mainland), Taiwan, and United Arab Emirates, which supply 99%, 1%, and 1% of heavy duty wheelbarrow respectively. 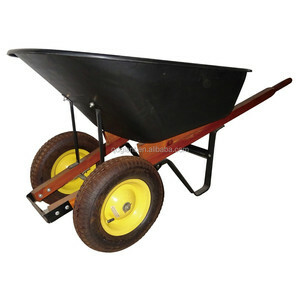 Heavy duty wheelbarrow products are most popular in North America, South America, and Western Europe. You can ensure product safety by selecting from certified suppliers, including 396 with ISO9001, 176 with OHSAS18001, and 96 with ISO14001 certification.